Tadao Takahashi has been instrumental in the planning and deployment of the Internet in Brazil. 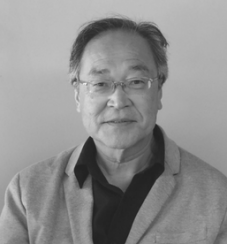 As the founder and former director of Brazil's National Research Network (RNP), Takahashi started one of the earliest academic networks in Brazil, and was a driving force in the effort to coordinate with other national academic networks to establish a backbone that would ultimately become the foundation of the Brazilian Internet. While at RNP, Takahashi became an early proponent of a bottom-up, inclusive approach to network management/development when he forged one of the earliest models for multi-stakeholder Internet governance. This model predated the renowned multi-stakeholder model employed by The Internet Corporation for Assigned Names and Numbers (ICANN). He was also the creator and chair of Brazil’s National Program for the Information Society (SOCINFO), a national initiative to articulate and expand strategic use of the Internet in Brazil in major application areas, including government, education and healthcare. He has helped shape public policies on information and communications technology (ICT) initiatives of the United Nations, European Commission and World Economic Forum, and continues to help use ICT to aid Brazil’s social and economic development. He holds degrees in Computer Science (University of Campinas, Brazil), Social Communications (Pontifical Catholic University of Campinas, Brazil) and Informatics (Tokyo Institute of Technology, Japan).